An interview with Antti Nurmi, to discuss the work that Charles River has done using neuroimaging techniques to study neurodegenerative diseases and more rare neurological disorders too, conducted at SfN 2018 by Alina Shrourou, BSc. Why are animal models important for brain research? It is very hard to access the human brain, especially tissues of diseased patients. Therefore, animal models are typically used to mimic conditions of human disease, allowing exploration of human disease in a whole animal context when the human functional brain is not accessible for research. There is a range of neurological diseases that people are suffering from, like Alzheimer's disease or Parkinson's disease. These are globally pervasive and extremely problematic conditions, and in the future, will affect both the aging human population and the world’s economy. Animal models of disease are tools that allow researchers to understand human disease better. They allow us to understand the mechanisms underlying those diseases through different species, and allow us to explore new therapies or therapeutic approaches. Without them, we would not be able to explore whether newly developed therapies would be effective and safe for human patients in single cell or cell culture models. How has Charles River used neuroimaging in an animal model to develop a biomarker useful for neuroscience research? Expertise and knowledge in neuroimaging has allowed us to use this technology similarly to how it is used in patients, looking for pathological signs of disease and potential improvement in response to therapies. In clinical neuroscience research, the typical way of diagnosing patients is using imaging like MRI, PET or CT, together with neurological symptoms, which can give physicians the ability to understand what disease the patient is suffering from or how far the disease state has progressed. About ten years ago, we adopted similar practices, but for preclinical research. We use imaging in animal models, where we can look at the very similar phenomenon in animal species that are happening in human patients. Use of animal models as surrogate tools when human material is not available for research use is warranted in early drug development to evaluate if new therapies are effective and safe, before giving these therapies to patients. Imaging is considered to be the translational part of the research, to essentially use similar methods in animal models as what is being used in patients in clinical practice. This approach may bring an additional level of confidence to drug programs. The use of imaging helps to understanding the underlying disease itself, and how we can address it from a therapeutic point of view. Imaging may also indicate early signs of adverse drug effects, which are important to identify to avoid exposing patients to potentially harmful new therapies. I noticed that Charles River will be presenting information on Batten's Disease at Neuroscience 2018. Please outline Charles River’s research involvement in this rare disease. Batten’s disease is a rare, monogenic disease, which means that it is caused by a mutation in a particular gene coding a particular protein. There are mutations in different genes affected in patient populations, but the most prevalent form is a mutation in CLN3 gene leading to juvenile form of Batten's disease. It belongs to the category of lysosomal storage diseases and is often lethal and devastating to patients, and their families. There are currently no truly effective therapies available for various forms of Batten’s disease. When a disease is rare, like Batten’s, there are usually fewer therapeutic options available and fewer companies focusing on developing therapies against them. Batten's disease and lysosomal storage diseases are relatively new areas for us, although we have been working with rare diseases for many years. A few years ago we identified, and got excited about, the work that was done by Dr. David Pearce and Dr. Jill Weimer at Sanford Research institute in Sioux Fall in North Dakota. We approached them in terms of partnership and collaboration, by offering our technological tool kit for their research, while gaining knowledge and expertise about Batten’s disease from them, which at the time was unknown territory to us. We started working with them to understand the commonly used animal models of Batten's disease, their phenotype and tools that they are using in their basic research. We wanted to see whether we could bring new, exciting technologies to those models and if we could somehow help in harnessing these models better for drug development purposes. Also, we want to advance basic science. We provided our neuroimaging solutions, expertise and some novel biomarker tools to be explored. Our collaboration turned out to be very successful, we learned a lot and I believe we brought novel solutions to these relatively well-known models of Batten’s disease. Our hope is that our collaborative findings can be used in the context of drug development, hopefully allowing researchers to be more confident about their findings when using the tools we have used and this way to link animal model research to human disease better. We identified certain things in Batten's disease models that could be considered biomarkers, but not conventional ones which are typically evaluated. 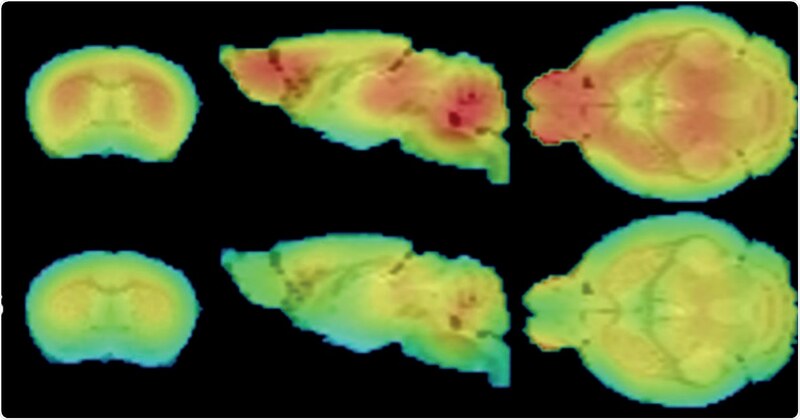 We have now identified new biomarkers related to imaging, including structural or metabolic changes that occur in the brain which have been difficult to evaluate over time. The markers in animal models that we have identified are also similar to changes that are seen in Batten’s disease patients. How are high-risk mutations identified for neurodegenerative diseases and how can these be used to study the disease? For particular diseases, there may be multiple genes that are linked to higher risk of developing a neurological disease. They are not necessarily causative, meaning that that gene itself, or the mutation in a particular gene, is not necessarily causing the disease but they are increasing the likelihood of individuals to develop it. For example, in Alzheimer's or Parkinson's disease, there are multiple known genes or mutations on those genes that have been identified in the patients, while the cause of the disease is still unclear. Identifying these risk genes may help clinicians and researchers in early intervention or treatment regimen if patients are at higher risk of developing a disease. Currently, for many chronic and progressive neurological diseases, like Alzheimer’s and Parkinson’s disease, this could mean a change in patient’s diet or increase in physical exercise, besides drug therapies, for which patients influence the progression of the disease. In addition to known high-risk genes, there's a steady stream of research describing new mutations or genes which may be affecting the disease course. However, since the genetic burden in Alzheimer’s and Parkinson’s disease is very complex and involves multiple genes, as opposed to contribution of single gene (monogenic) it is very difficult to determine which ones are the most important, or how they are really contributing to the disease. However, as described earlier, some mutations in the particular genes are resulting in the disease, so they are no longer risk genes but rather causative factors of the disease. This is something that we know is the case in Batten's disease or in Huntington’s disease, another rare disease. Please describe Charles River’s work involving the use of human stem cells to test potential treatments for motor neurone disease. Human stem cells are a very popular and promising research tool allowing understanding the mechanisms underlying human disease by using a patient’s own cells. Human stem cells, ideally derived from patients and having a genetic make-up and cell functions for a given disease, like motor neuron disease, are very powerful because they are derived from the patients themselves. They link research more directly human disease even though the model system is in a dish rather than fully functional organism or species. With the ability to use patient samples and patient cells, including material from patients suffering from motor neuron diseases like ALS, we are linking our research directly to the patient biology. Using animal models of disease, which have been created by genetically modifying a mouse or other species, we can obtain non-human models that have close to human disease properties. However, these models are more or less artificially created to model human disease-like conditions in an animal. Human stem cells on the other hand have features that are directly linked to the diseased patients themselves, which can bring an additional level of confidence to a drug program or disease biology. Especially if you see a novel therapeutic agent being efficacious in human cells rather than in mouse cells. What can Charles River provide to the scientific community at Neuroscience 2018? We are here at Neuroscience annual meeting every year and this is the biggest event for Charles River in terms of neuroscience. This is a perfect venue to meet with new and existing partners and collaborators. We also want to stay involved in the progress of neuroscience research and we have many scientific posters each year we present during the meeting. However, our main focus is to provide research services and expertise for pharmaceutical and biotech industry clients, who are developing new therapeutic modalities for known neurodegenerative, psychiatric disorders and rare diseases. We have a large range of tools and technologies available and we are continuously developing and adopting new ones to be in the forefront of neuroscience research. We have historically made technologies available that have translational properties and can be coupled with animal models. We also offer cellular models, including human stem cells, which our clients can use in their drug programs at various stages of the development. In the neuroscience field, there is a low success rate in getting drugs to the market. We are trying to bring success to drug development by introducing high quality and translational technologies and drug development expertise. However, as an organization we are equipped to support any drug program from early therapeutic target identification and validation all the way through safety assessments before the drug is given for the first time to humans. The full breadth of the services, technologies and expertise that Charles River offers to its clients and partners are available to maximize the chances of success of any drug program. 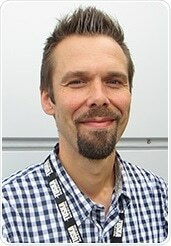 Antti Nurmi has over 15 years of experience in the life science industry, with the last 10 spent in various roles of scientific leadership roles at Charles River. He earned his PhD from the University of Kuopio in Finland, where his work focused on brain research and the molecular mechanisms behind stroke pathology. He received his MSc in physiology from the University of Joensuu, Finland, where he specialized in cardiac electrophysiology (particularly ion channel physiology and the use of patch-clamping techniques). Dr. Nurmi has published on a variety of topics ranging from cardiac ion channel physiology to therapeutic approaches against disease pathology in stroke and Alzheimer’s disease.